BURGERS AND BARBIE$: THAT GIRL, LOUISE MANGALINO + EIGHT YEARS OF BURGERS AND BARBIE$! 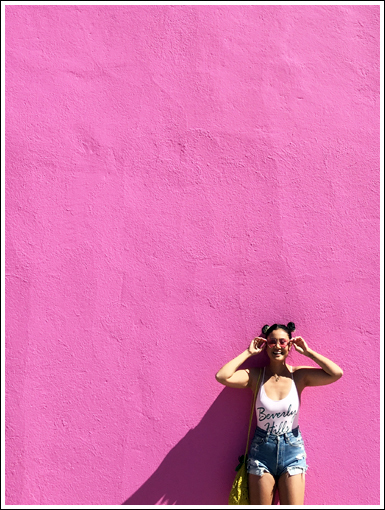 THAT GIRL, LOUISE MANGALINO + EIGHT YEARS OF BURGERS AND BARBIE$! I'm having a Drake moment because this next post is me feat. me for real. I've been interviewing people on this blog for over a year now, and it's been so exciting finding out fun facts of people I admire. Given the fact that it's this blog's eight year anniversary (yes, you read that correctly! ), I figured it was time for me to reveal some fun facts about myself! I'm sure I've blabbed about how BURGERS AND BARBIE$ came to be and evidently how Burger Pawty was inspired by this blog, so I will skip the reintroduction. I've got a special treat in form of video that I'm super stoked to share! So don't delay and press play, for that girl, Louise. I'm gona keep this short and sweet and just say thanks again for following my journey here on BURGERS AND BARBIE$ and also on Burger Pawty. Eight years may seem like a long time, but as the old saying goes: time flies when you're having fun! Shout out to the homay, Matt for putting this amaaaazing video together, and thanks to my pals over at the Goods & Cargo Studio for letting me use their dope space! To more burgers, with love. p.s. 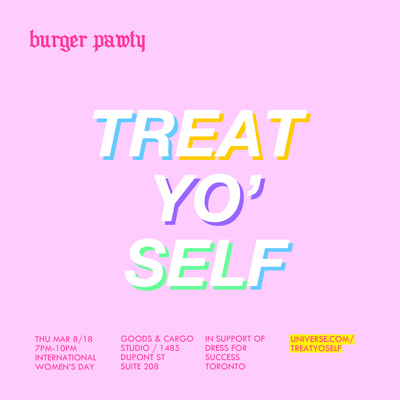 Burger Pawty is hosting an event called TREAT YO' SELF for International Women's Day (March 8th) andddddd it will be taking place at the Goods & Cargo Studio! Click here for more info + tickets! See you there!